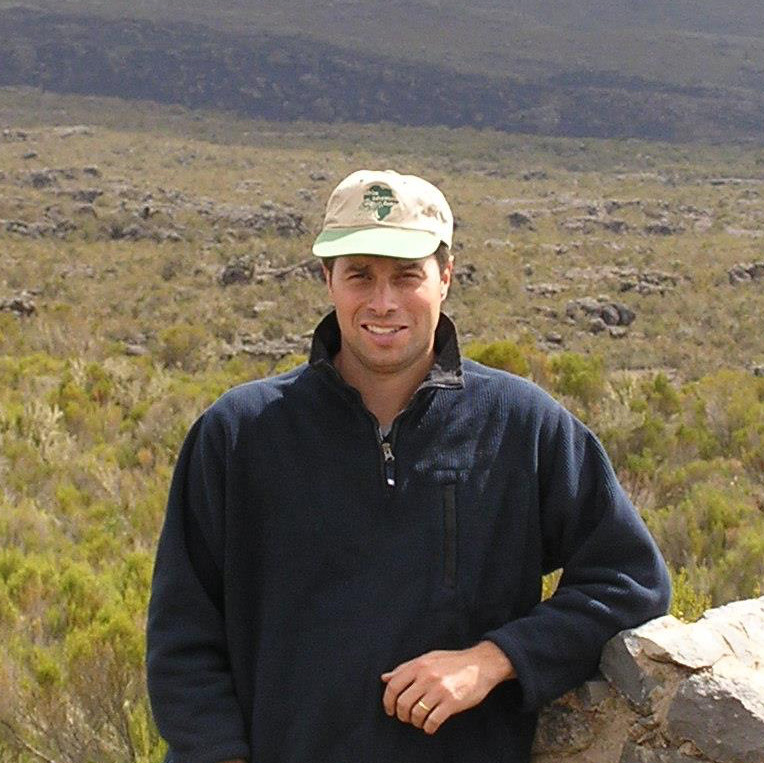 Location: Within the Namunyak Wildlife Conversation Trust, an area of approximately 75,000 hectares, along the southern corner of the fabled Mathews Mountains. 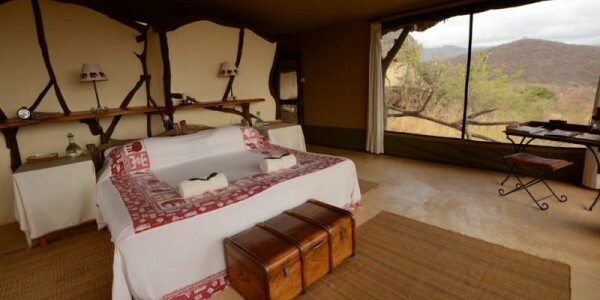 Rooms: 5 spacious guest tents positioned to maximise the stunning views of the Mathews Mountains and the waterhole. Facilities: A spacious mess area under a large thatched roof furnished with comfortable sofas and overlooking the natural rock swimming pool. The camp is powered by solar energy. 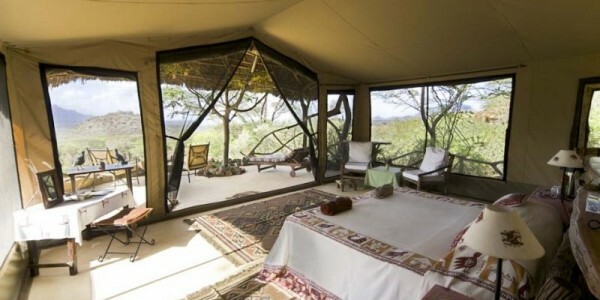 Activities: Game drives, fly camping, nature walks, bird watching, mountain hikes, Samburu village visits, helicopter rides. Our Opinion: For many, Sarara Camp is considered the most beautiful and spectacular of all the community based lodges in northern Kenya. 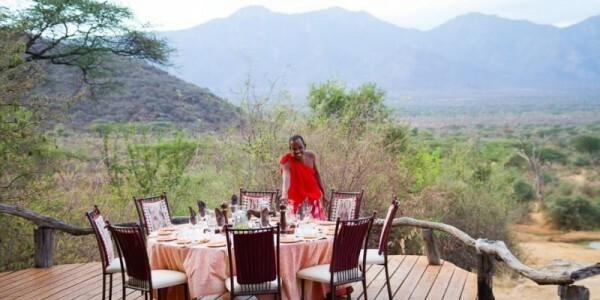 The Namunyak Wildlife Conservation Trust is home to the proud, semi-nomadic Samburu people and was set up in 1995 specifically to promote wildlife conservation. Today several thousand elephant live peacefully in the southern Mathews Range area, together with a variety of other wildlife species such as buffalo, lion, leopard, cheetah, wild dog, greater and lesser kudu, gerenuk, reticulated giraffe, impala and dikdik. 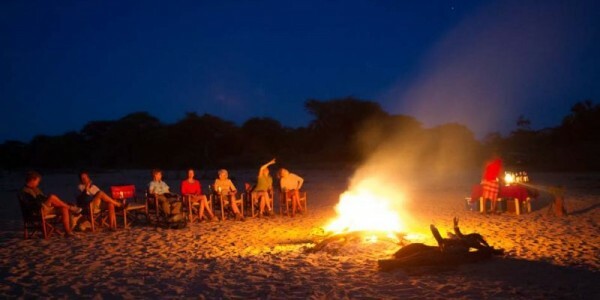 In addition to game drives it is possible to enjoy guided nature walks, hiking into the Mathews rainforest, a day trip climbing with donkeys to the top of the sacred Ol Lolokwe mountain, fly camping safaris with camels and day trips to the Samburu and Shaba game reserves. 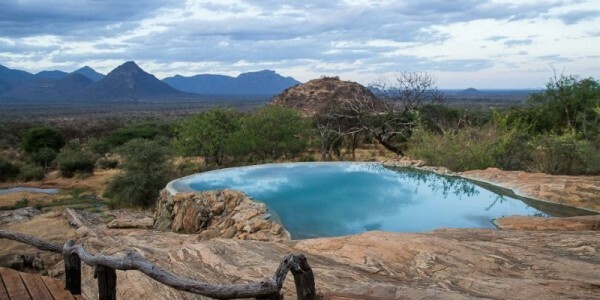 Another highlight of the Namunyak area is a visit to the famous singing wells: every morning the Samburu families bring their family cattle to the wells where they dig up water to fill the troughs to water their cows & goats – the animals recognise their family song & come down to their well to be watered.